The circus is coming to town, with none of those morally questionable animal acts to get all angsty about. 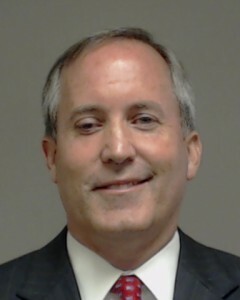 Attorney General Ken Paxton will face a jury in Harris County on felony criminal charges he committed securities fraud and failed to register with the state as an investment advisor, a district judge ruled Tuesday. District Judge George Gallagher opted to relocate Paxton’s criminal trial across county lines last month after citing concern that political influences are strong in the attorney general’s home of Collin County where he originally was set to be tried. “Harris County was selected because the lead counsel for the state and the defense are located there. Harris County also has the facilities to accommodate the trial,” Gallagher said in a statement. Paxton’s lawyers have opposed the change of venue and say a recent poll shows possible jurists in Collin County are largely undecided about the case. However, attorneys on both sides agreed to allow the court to relocate the trial to a county not adjacent to Paxton’s home county, according to the ruling. See here for the background. If you live in Harris County and receive a jury summons in the next few weeks, that may end up being a more exciting experience than you’d normally expect. And with the change in venue, it appears there will be a change of judge as well. Paxton’s attorneys filed a motion hours later asking that a new judge from Harris County be assigned to the case. “By this motion, Paxton respectfully advises the Court that he will not be giving the statutorily-required written consent… to allow the Honorable George Gallagher or his court staff to continue to preside over the matter in Harris County,” the motion reads. Needless to say, there’s no trial date set yet. The questions of who will preside over the case and in which courtroom will have to be settled first, and the new judge will have to get up to speed. I may have to reconsider my original expectation that there will be a verdict before next November. Anyway, time to stock up on popcorn and get ready for the show. You can see copies of the judge’s order and the Paxton motion here, and the Trib and the Dallas Observer have more. It will be nice to actually hear from all the people he defrauded, pushing pump and dump stocks to investors, all without a securities sales license. Does this mean the taxpayers of Harris County are footing the bill for the trial costs, or is Collin County still kicking in?